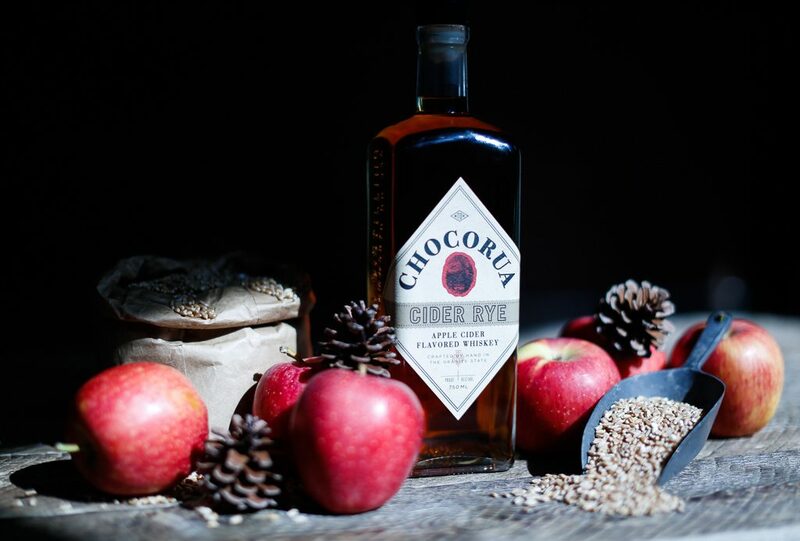 Chocorua Cider Rye — Available This Weekend! Fall brings a lot of northeastern hallmarks: the foliage changes, county fairs, apples picking and grain harvests. 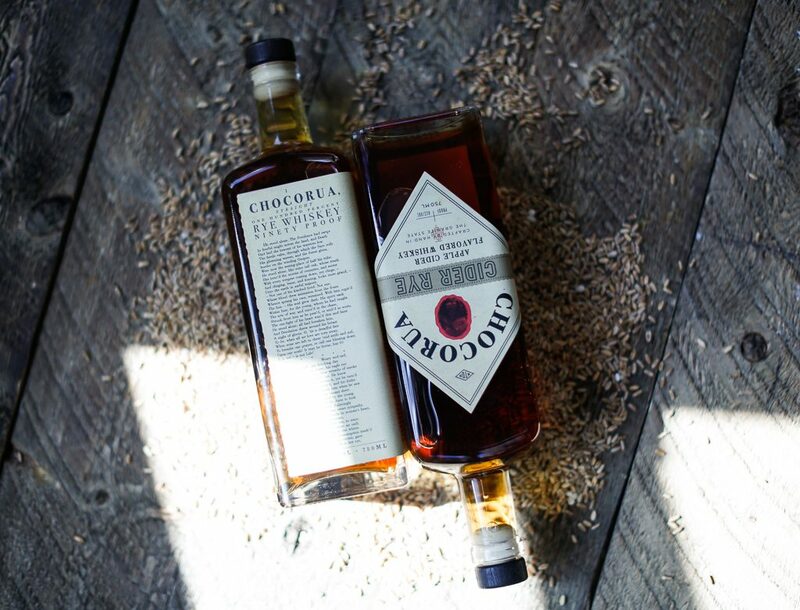 Rye, being largely considered a ‘northern grain,’ tends to be a little hardier and robust in flavor than bourbon. This graininess and zest plays very well with the iconically sweet and fruity apple. 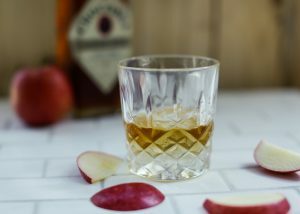 Building from another tradion, the practice of making French Pommeau utilizes fresh pressed apple cider aged with calvados. We took that premise and experimented with substituting the base with a rye whiskey. The result is much different than Pommeau, but equally as quaffable. 2 year old rye whiskey is comingled with fresh pressed NH apple cider and rested in the rye barrel. The added time in the barrel mellows any sharper flavors and allows for added oxidizing. The nose is that of a fruit turnover, warm earthy grain mixed with baked apple. There are hints of grassy rye, along with some cherry aroma gained from the rye/fruit combo. The headspace gives way to more raisin bread and cinnamon characteristics. The first sip brings with it the taste of caramel covered apple. There is an almost apricot like mid-palatte, stonefruit and acidity extend to a medium finish. The mouthfeel remains not-too cloying or sweet, while maintaining a slight viscosity. Would be great as a stand alone sipper, in a snifter. Would also work well mulled or in a hot toddy. 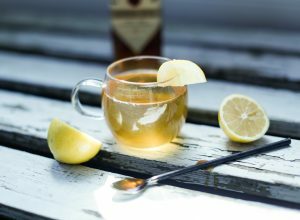 Directions: Combine Cider Rye, honey, and lemon juice in a mug. Top off with hot water and stir until honey is dissolved. Garnish with lemon. Directions: Shake all ingredients except for hard cider in a shaker with ice and strain over crushed ice in an oversized rocks glass. 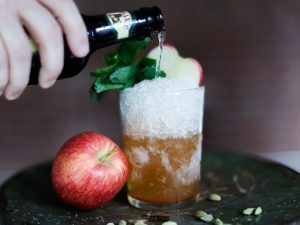 Top with hard cider, then garnish with mint and apple. Gearing Up for Aquavit Week!